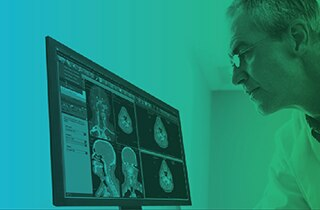 Centricity™ Clinical Archive1 is a Vendor Neutral Archive solution that provides 360-degree imaging and multi-media patient content that helps improve clinician efficiency and helps drive patient outcomes by image enabling your EMR with the Centricity Universal Viewer Zero Footprint viewer. When you provide a more consistent, unified, and secure view of patient information, you create new opportunities to improve collaboration, boost efficiency, facilitate critical treatment decisions, and lower costs. The Centricity™ Clinical Archive Solution delivers this crucial single view, with a standards-driven solution that intelligently weaves longitudinal patient data from many different sources and systems together—and then makes it all available through a convenient web-based, zero-footprint2 viewer that image-enables your EMR system. Make patient information more accessible and secure with available cloud-connected disaster recovery, virtual server deployment options, and standardized configurations that help improve reliability. Every picture tells a story. And when it comes to your patients, capturing and documenting visible light images at every step of the workflow helps provide vital details of their care journey. Media Manager enables speedy acquisition and documentation of pictures directly from mobile devices, reducing the documentation time per patient case, helping avoid missed patient data and enhancing staff productivity. Media Manager was jointly developed with the University of Pittsburgh Medical Center (UPMC)3. Designed in consideration of patient data safety - no data left behind on the mobile device. Automated lock-out for unattended devices. Improve staff efficiency by reducing manual printing and scanning of images and documents. Reduce time taken to document a wound case, by reducing the number of steps needed to add visible light images to the patient's medical record. 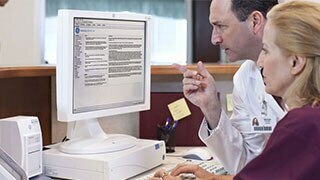 Enhance enterprise wide access to images and videos for clinicians and specialists across the enterprise. Standardize documentation quality and consistency required for billing submissions and regulatory compliance. "The nurse can open the wound up, take any pictures and record what they need to, upload it directly from their phone so it can go right into the patient's record and be available rapidly so that the next person can see exactly what the wound looks like." Are you ready to enhance interoperability? Helps increases employee and IT system productivity with Workflow Consulting, Regulatory Consulting, Technical Consulting, or Productivity Assessment. Helps drive understanding and increases adoption by leaders and staff through Master Trainer Education and/or End User Education services. Helps deliver high adoption right from the start with Software Implementation, Upgrade Implementation, or Data Migration services. Helps reduce unplanned downtime, promotes resilience, and enhances usability throughout your IT systems lifecycle with Software Maintenance and Dedicated Support services. Helps diminish disruptions, responds to required changes, and optimizes productivity through Application Customization, Interface Customization, Report Customization, or Custom Integration services. Helps reduce uncertainty and long-term expenses while staying focused on your organization's patient care mission through Asset Management, Remote Monitoring, or Business Continuity services. Centricity Clinical Archive1 includes the following product components: Centricity Enterprise Archive, Centricity Universal Viewer ZFP client, GE XDS Registry, Centricity Clinical Gateway, Audit Trail Repository, Media Manager, ICW Master Patient Index (MPI), and Lexmark PACS Scan. See the Centricity Clinical Archive Compatibility Matrix and product-specific documentation for requirements. 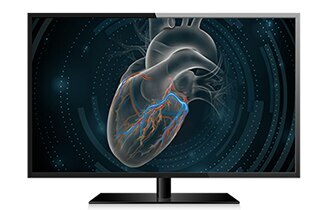 University of Pittsburgh Medical Center (UPMC) is a collaboration partner of GEHC and as a result, has a financial interest in the development and commercialization of certain GEHC next generation imaging products.